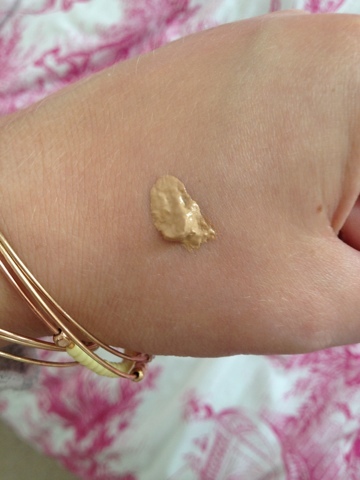 Hi lovely people, Today's post is around Benefit's You Rebel Tinted Moisturiser. I go through stages of wearing this, it's too light a coverage I find for my winter skin but I love it in the summer as it doesn't feel like you are wearing anything and I hate wearing heavy foundations in the heat because it feels like it's literally just melting off my face. So with all the lovely weather we've been having recently, I decided to dig this out again. I use the original red tube version of this but they do have a lighter version for fairer skins. 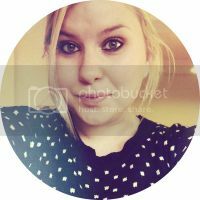 I do think that this can sometimes be a little too dark in colour for my winter skin but once I have a bit of a tan, this blends in very well with my natural colour, you do have to work it into the skin though otherwise you can be left with a slight orange line. This moisturiser comes in a red metal tube with a black screw top lid. I find by the time I'm coming to the end of the tube it does look a little bashed up, the red starts flaking off leaving the silver tube underneath, it does spend it's life in the summer bashing around in the bottom of my bag though so this could be the cause of that, but if that kind of thing bothers you, I recommend keeping it in a make up bag or something where it won't be so easily scratched. This also has SPF15 in it, which is good, I'd be happier with a higher SPF for my face but it just means I use a moisturiser with a higher SPF underneath, but definitely handy in the summer to add extra protection . I have been using this with a little high beam blended in and applied it with my Real Techniques buffing brush, it gives lovely coverage and leaves skin looking really fresh and dewy, I add a little eye liner and mascara and that's pretty much my summer make up routine. 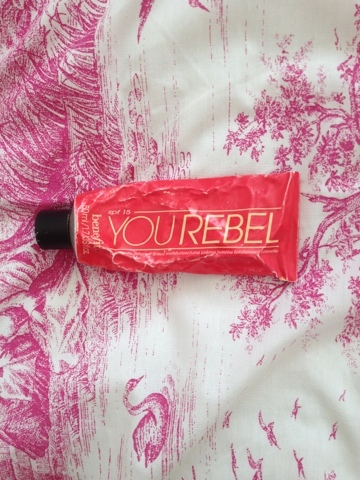 I have been using You Rebel since I was a teenager, I used to love it as I didn't like wearing foundation as it had a tendency to be too heavy and I never really needed foundation when I was younger as I had quite clear skin really. It still works as well for me now as it did then. I have used the Lite version which is more beige/yellow in tone than this which is more of a Bronze/Tan tone but I went back to this as it adds a little colour and means I don't need to use bronzer as which I quite like, and I thought the Lite version had a slightly funny smell, a bit like a medicine I was given when I was younger!